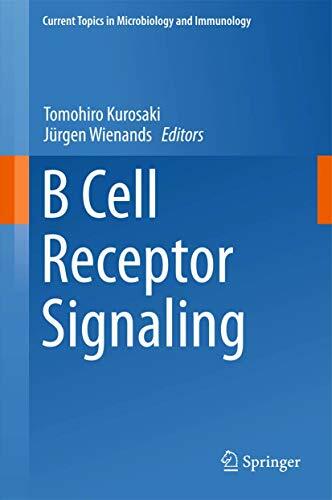 [PDF] B Cell Receptor Signaling (Current Topics in Microbiology and Immunology) | Free eBooks Download - EBOOKEE! Description: ?Discusses current models of how the B cell antigen receptor becomes activated Focusses on the elucidation of intracellular B cell receptor signaling pathways Describes modulation of B cell activation by coreceptors and under disease conditions This volume details our current understanding of the architecture and signaling capabilities of the B cell antigen receptor (BCR) in health and disease. The first chapters review new insights into the assembly of BCR components and their organization on the cell surface. Subsequent contributions focus on the molecular interactions that connect the BCR with major intracellular signaling pathways such as Ca2+ mobilization, membrane phospholipid metabolism, nuclear translocation of NF-kB or the activation of Brutonâ€™s Tyrosine Kinase and MAP kinases. These elements orchestrate cytoplasmic and nuclear responses as well as cytoskeleton dynamics for antigen internalization. Furthermore, a key mechanism of how B cells remember their cognate antigen is discussed in detail. Altogether, the discoveries presented provide a better understanding of B cell biology and help to explain some B cell-mediated pathogenicities, like autoimmune phenomena or the formation of B cell tumors, while also paving the way for eventually combating these diseases. No comments for "[PDF] B Cell Receptor Signaling (Current Topics in Microbiology and Immunology)".